The settlement states, "I&E instituted an informal investigation of Great American based on information referred to I&E by the Commission’s Bureau of Consumer Services ('BCS'). BCS notified I&E that agents of Great American were issued citations by law enforcement for not complying with local ordinances regarding door-to-door marketing and sales activities." The settlement states, "On June 27, 2017, the Commission’s Bureau of Consumer Services ('BCS') became aware of a Facebook post by the Millersburg Borough Police Department ('MBPD') regarding multiple residents who complained that two (2) sales agents were going door-to-door attempting to sell electricity in Millersburg, Pennsylvania (hereinafter referred to as 'Millersburg incident'). When questioned, the agents told MBPD Officers that they were working for Great American. The officers issued citations to both agents for conducting door-to-door marketing in Millersburg without the required solicitation permits." The settlement states, "In response, Great American provided that upon notification of the Millersburg incident, it immediately ceased all door-to-door marketing activities and investigated the agents in question. As a result of Great American’s investigation, the Company found that those agents had been working on door-to-door marketing campaigns on behalf of the Company. Great American explained that it uses a third-party vendor to help conduct door-to-door marketing campaigns. However, since its third-party vendor provides agents to other EGSs, Great American alleges that it could not confirm that the agents in question were marketing on behalf of Great American during the day of the Millersburg incident." The settlement states, "Great American alleges that Millersburg, PA was not a targeted area for its June 2017 door-to-door marketing campaign and that after reviewing its enrollments and sales, the Company found no such activity in Millersburg, PA during that time period." The settlement states, "BCS subsequently referred the matter involving Great American to I&E for an informal investigation. Through Great American’s responses to I&E’s Data Requests - Sets I, II, and III, I&E determined that Great American began door-to-door marketing in October 2015 and conducted seventeen (17) door-to-door marketing and sales campaigns from October 2015 to June 2017 without notifying BCS and local distribution companies ('LDCs') of those activities." The settlement states, "I&E discovered that in January 2017, Great American’s third-party vendor received a complaint from Mount Joy, Pennsylvania regarding agents engaging in door-to- door marketing on behalf of Great American without the required solicitation permits for that area. Additionally, in June 2017, Great American received two (2) similar complaints from Lower Milford Township and Cumru Township, Pennsylvania." I&E was prepared to allege that, "Great American and/or its third-party agents failed to comply with the Marketing and Sales Practices for the Retail Residential Energy Market, 52 Pa. Code §§ 111.1-14, in that the Company and/or its third-party agents failed to comply with local ordinances regarding door-to-door marketing and sales activities." 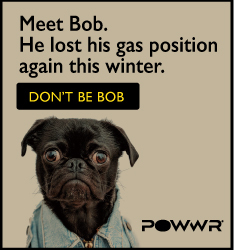 I&E was prepared to allege that, "Great American failed to comply with the Marketing and Sales Practices for the Retail Residential Energy Market, 52 Pa. Code §§ 111.1-14, in that the Company failed to notify the Commission’s Bureau of Consumer Services of its door-to-door marketing and sales activity." 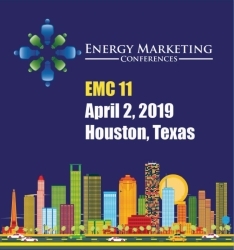 I&E was prepared to allege that, "Great American failed to comply with the Marketing and Sales Practices for the Retail Residential Energy Market, 52 Pa. Code §§ 111.1-14, in that the Company failed to notify local distribution companies of its door-to-door marketing and sales activity." The settlement states Great American has put into effect appropriate measures that have been approved by I&E to ensure that such oversight is not likely to reoccur. In a statement included with the settlement agreement, Great American stated, "Great American’s non-compliance was not intentional, resulting instead from oversights and impacting a limited number of potential customers. Nonetheless, Great American acknowledges its errors accordingly, and has put into effect appropriate measures to ensure that such oversight is not likely to reoccur. No similar oversights have occurred since these measures were implemented."